Back in 2006, An Inconvenient Truth warned of the threat of climate change – and became a surprise hit. The movie won an Oscar and earned $23 million at the box office – not exactly blockbuster numbers, but very good for a documentary. A little more than 10 years later, we revisit the topic via 2017’s An Inconvenient Sequel: Truth to Power. Like the first film, Al Gore remains at the core of Sequel, as we follow his efforts to educate and motivate action. This takes Gore to various parts of the world and occasionally involves comments from others. As Gore travels, he interacts with a mix of leaders, scientists and entrepreneurs. In terms of its message, Sequel may be even more important than Truth was 11 years ago. Not that the Bush administration wholeheartedly embraced the battle against climate change, of course, but compared to the active deniers in the Trump White House, matters seem to have taken a massive step back. Inevitably, Sequel deals with that new political reality, though not until fairly late in the film. I assume that’s a factor of the production schedule, as most of the movie was shot prior to November 2016, and obviously it would enjoy a different coda if Trump hadn’t won. That side of things aside, Sequel works best when it focuses on the science and evidence. When the movie acts as an update on Truth and looks at the current status of climate change data, it manages to give us a strong overview of its main points. Unfortunately, Sequel strays far from that topic too much of the time. Instead, we get the Al Gore Traveling Roadshow, footage that appears mainly to exist to espouse the greatness of its subject. Look, I respect Gore and the way he emerged from his soul-crushing political loss in 2000 with a new mission and public personality. Virtually no one has done more to impact the climate change discussion. That doesn’t mean I want to watch a movie that follows him around like a puppy, though. Yes, Sequel attempts a form of “plot” as it digs into Gore’s efforts to enact change, but these seem self-serving and not especially interesting. 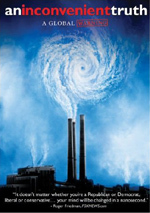 Does Sequel need to depict efforts to combat climate change? Obviously. Does it need to involve Gore in such a prominent manner? Nope, and that emphasis means the film feels more like an ode to Gore than an educational documentary. This factor makes Sequel spottier than I’d like. Truth offered a much more static affair but it dug into its data in a more satisfying manner. While Sequel opens up to more locations, it lacks the same informational impact or purpose. As a result, Sequel feels like a 30-minute lecture stretched more than three times as long. It occasionally acts as a satisfying update on the original film but it digresses too often to stick together. An Inconvenient Sequel: Truth to Power appears in an aspect ratio of approximately 1.78:1 on this Blu-ray Disc. Given the nature of the production, the image seemed satisfactory. Overall sharpness remained positive. At times, the film could look a bit soft, but the majority of it appeared accurate and concise. I saw no signs of jagged edges or moiré effects, and edge haloes remained absent. Some of the archival footage showed distortions, but true source footage seemed free from defects. Sequel went with a natural – if subdued – palette that satisfied. The colors looked accurate and appropriate. Blacks seemed dark and deep, and shadows appeared positive, with nice clarity. This was a more than competent presentation. Though not memorable, the film’s DTS-HD MA 5.1 soundtrack worked fine for the material. A chatty effort, the soundscape opened up on sporadic occasions but remained pretty restrained most of the time. When the track opened up, it did so in a decent manner. Music offered nice stereo imaging, and a few elements – like the “explosion” of glaciers – managed to create a bit of flair. Most of the mix stayed subdued, though, so don’t expect much from the soundfield. Audio quality worked fine. Music was gentle but vivid, with nice clarity. Dialogue came across as natural and concise as well. As noted, effects rarely had much to do, but they showed punch when necessary. For instance, the glacier sequence provided a solid low-end rumble. This was a laid-back track that suited the material. A smattering of extras round out the package, and we begin with Effecting Change. It runs 26 minutes, 43 seconds and involves Al Gore and directors Bonni Cohen and Jon Shenk. “Change” looks at the development and production of Sequel. It offers some good notes about the shoot and related challenges, though – like the movie itself – “Change” spends too much time on praise for Gore. Truth in Ten lasts 11 minutes, 29 seconds and presents more from Gore. He touches on 10 climate change topics in an abbreviated version of his lecture. This may be more effective than Sequel itself, as it digs into the subject matter without the film’s fluff. Finally, we get a lyric video for OneRepublic’s “Truth to Power”. It offers images of climate change’s impact along with the song and its lyrics. Meh. 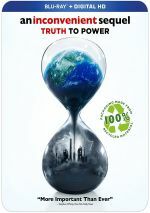 A continuation of 2006’s hit documentary, 2017’s An Inconvenient Sequel: Truth to Power offers snatches of useful information. Unfortunately, it spends far too much time at the bidding of its star, and those moments make it sputter and meander. The Blu-ray offers mostly good picture and audio along with minor supplements. While I respect the educational goals, Sequel doesn’t connect as well as it should.